In 1904, Baron Morimura Established his own manufacturing company in Japan named M/s. Nippon Toki Goumei Kaisha, (now M/s. Noritake® Co,. Ltd) determined to ensure the quality and integrity of his distinctive products; he dedicated six years of his life to refining the manufacturing process in the factory located in a little Japanese village of Noritake a small suburb near Nagoya, Japan. 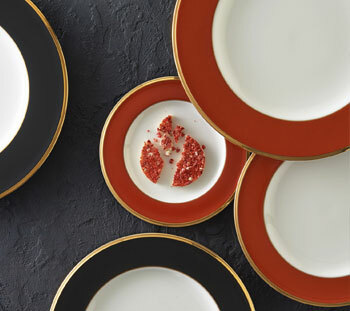 Noritake® sets the table for millions of loyal customers providing white porcelain and Bone China manufactured in Noritake® factories the world over, and exported to more than 100 countries. 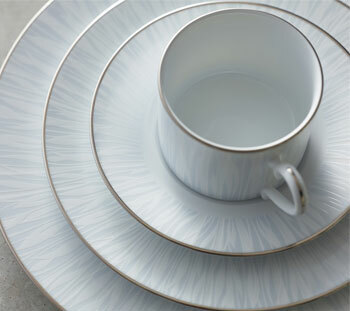 Since 1904, Noritake® has been bringing beauty and quality to dining tables around the world. Superior artistry and craftsmanship, attention to detail and uncompromising commitment to quality have made Noritake an International trademark during this past century. Today, Noritake® is an acknowledged leader in tableware manufacturing and Noritake® Formal Dinner Ware, Causal Dinner Ware, Gift Ware and Cutlery has developed a solid base in Pakistan Market with product availability in renowned departmental stores across the following cities. For details about product availability please write on raziki@raziki.com. The products are available with our distributors.